Gutta-percha was one of the first plastic materials. It was made from a mixture of resins from Malaysian trees. 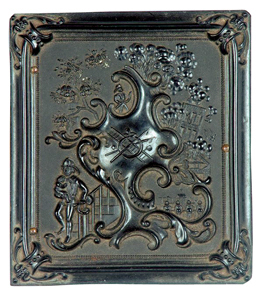 It was molded and used for daguerreotype cases, toilet articles, and picture frames in the nineteenth century. The Gutta Percha Company used gutta-percha as cable insulation in its tubes in 1850, which was used to insulate landline cables and, later, submarine cables.